Welcome readers! 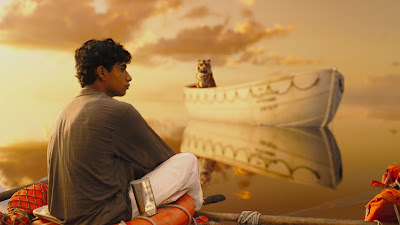 This week I take a look at Life of Pi, director Ang Lee's visually-stunning adaptation of the popular novel, and Rise of the Guardians, which finds Santa, the Tooth Fairy, Jack Frost, Sandman, and the Easter Bunny as a superhero squad of sorts. For updates on new reviews, please “like” me on Facebook or follow me on Twitter! 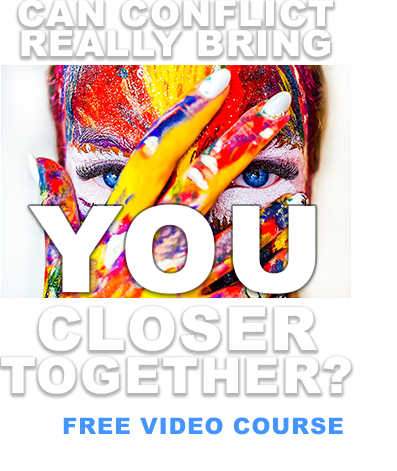 Much great art is open to interpretation; it has different meanings for different people. Such is the case with Life of Pi, an exploration of faith in God and the nature of belief, albeit one dressed as a fantasy adventure about an young Indian man stranded at sea with a Bengali tiger. While some have found the film to be insulting to religion, I think it displays too much affection for the topic for that to be the case. Rather, I find Life of Pi to be an acknowledgement that belief, whatever one's worldview, is a choice one makes to enrich one's life. Director Ang Lee (Sense and Sensibility, Crouching Tiger Hidden Dragon) has crafted, along with cinematographer Claudio Miranda and composer Mychael Danna, one of the most artistically-stunning and visually-arresting films ever made (I almost never say this, but see it in 3D). The story exists in a sort of heightened reality that is accentuated by lush colors and clear images. The performances are excellent and the blend of practical effects and CGI is seamless. 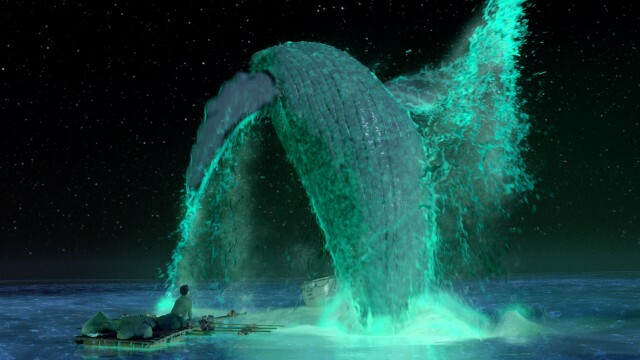 Life of Pi masterfully balances technical wizardry with an emotionally and intellectually engrossing story. It's thoughtful and challenging; moviegoers who appreciate that sort of thing will want to see it in theaters. CONTENT OVERVIEW: Life of Pi is rated PG. It has no language or sexuality. There is a very intense scene of shipwreck, with implications of dozens of persons and animals drowning. There are several startling scenes with animals attacking one another. A man is imperiled by sharks, hyenas, and a tiger. A man describes murder and cannibalism in some detail. MESSAGES TO DISCUSS: The hand of God is active in many persons of many faiths. “The great religious leaders of the world such as Mohammed, Confucius, and the Reformers, as well as philosophers including Socrates, Plato, and others, received a portion of God’s light. Moral truths were given to them by God to enlighten whole nations and to bring a higher level of understanding to individuals” (Statement by the First Presidency, “God's Love for All Mankind,” 1978). Faith is strengthened when it is tried (Ether 12:6). “No one has ever had authentic assurance unless he has served an apprenticeship in doubt” (Elder Hugh B. Brown).We choose whether (and what) to believe based on our desires, our personal experiences, and the value of our beliefs in giving meaning to our lives (Alma 32:35-39). We should balance reason and faith (2 Nephi 9:28-29). 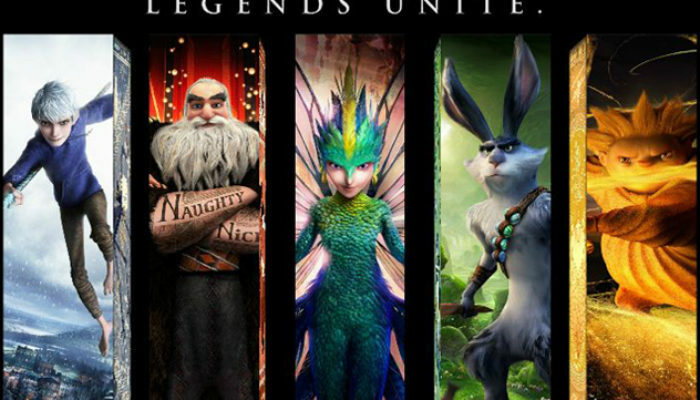 Engaging, charming, and original, this family-friendly adventure from Dreamworks Animation finds Santa Claus (Alec Baldwin), the Easter Bunny (Hugh Jackman), the Tooth Fairy (Isla Fisher), Sandman, and Jack Frost (Chris Pine) teaming up to protect the world from the Bogeyman (Jude Law), who wants to replace children's hope and happiness with fear. 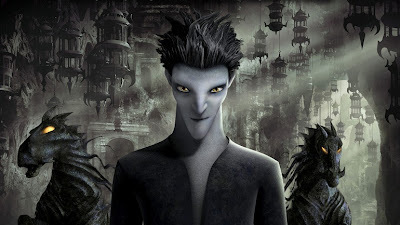 A first-rate family animated film with a creative mythology, solid humor, and tender-hearted morality, Rise of the Guardians is highly recommended for children and adults. The animation is gorgeous, the characters are memorable, and the story is surprisingly satisfying. 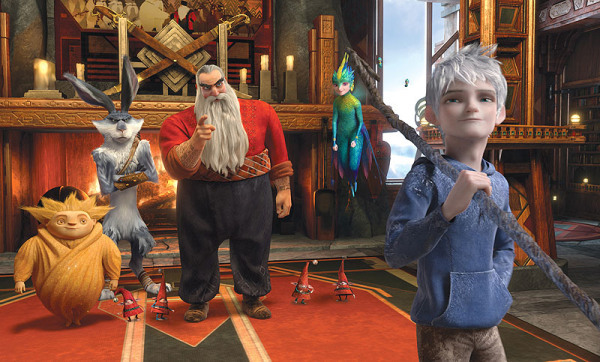 CONTENT OVERVIEW: Rise of the Guardians is rated PG. The Bogeyman turns children’s dreams into nightmares (represented by black horses), casts large shadows, and speaks in an ominous voice. The Tooth Fairy tosses the villain a quarter, than punches out one of his teeth. Jack Frost sends the Bogeyman reeling after firing a bolt of light at the darkness he was creating. Santa wields swords but never uses them on anyone. An elf kisses another elf on the cheek (leading the latter to punch the first in the chest). MESSAGES TO DISCUSS: To understand our purpose in life we have to know where we came from; in our case we are God's children and lived in his presence (Job 38:4-7; Jeremiah 1:5) and were sent to Earth to grow and progress through obedience (Abraham 3:22-25). We can get along with people who are different from us if we take the time to get to know them, understand them, and see the good in them (Mosiah 9:1; Helaman 6:7-8). Love and laughter cast out fear (1 John 4:18).